Beginning in 2018, the Maine Department of Inland Fisheries and Wildlife (DIFW) launched the “Maine Bird Atlas” – a new 5 year statewide project to document the birds that call Maine home. 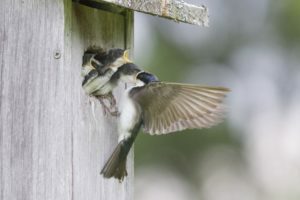 This in-depth training will be focused on how to document birds during the upcoming breeding season. It will involve an overview of the project, including background and objectives, explain various ways to participate, and take a hands-on look at how to use eBird (the database for collecting Maine Bird Atlas sightings). We will spend time indoors reviewing materials and procedures, then finish with a short walk outside to practice “atlasing.” We suggest dressing in layers as the temperature will vary throughout the day. Boots or waterproof footwear is recommended while we are outside. Snacks and drinks will be provided but please bring any additional food items you’ll want. A Maine native, Doug Hitchcox grew up in Hollis and graduated from the University of Maine in 2011. The year he graduated, he traveled to every corner of the state trying to observe as many species as possible in what is known as a ‘Big Year.’ He ended the year having seen 314 species in the state, a new record for Maine. Throughout college Doug worked at the Scarborough Marsh Audubon Center running their store and leading walks and tours. Doug was hired as Maine Audubon’s Staff Naturalist in the summer of 2013, a long time “dream job” for him. 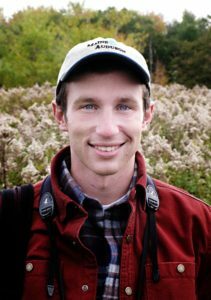 In his free time, Doug is one of Maine’s eBird reviewers, owner and moderator of the ‘Maine-birds’ listserv, York County Audubon board member, and voting member of the Maine Bird Records Committee.